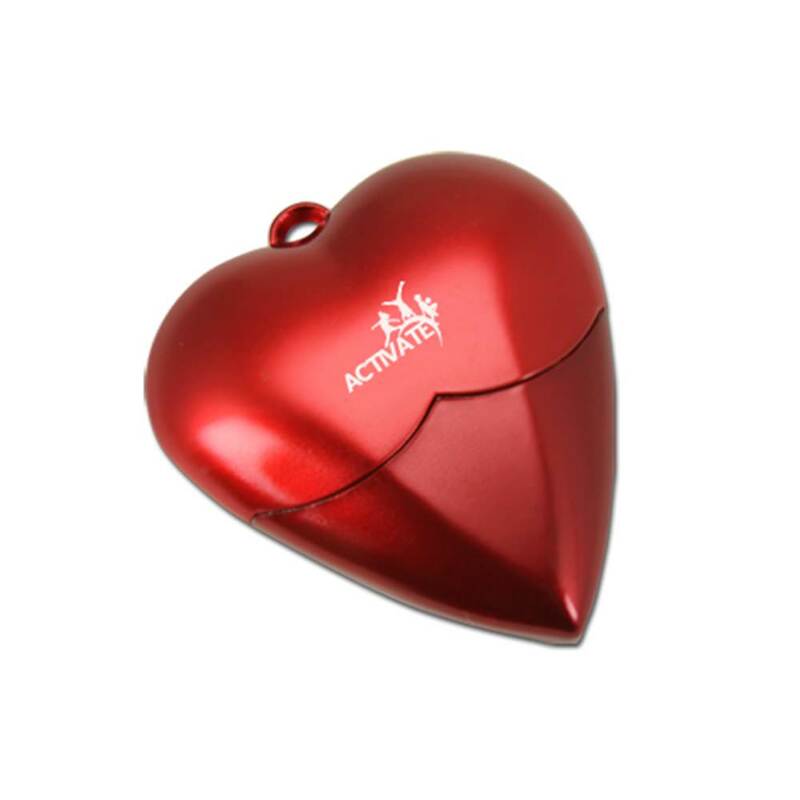 The point of a promotional item is to get attention for your business, right? Why not give out an item that will truly be noticed? 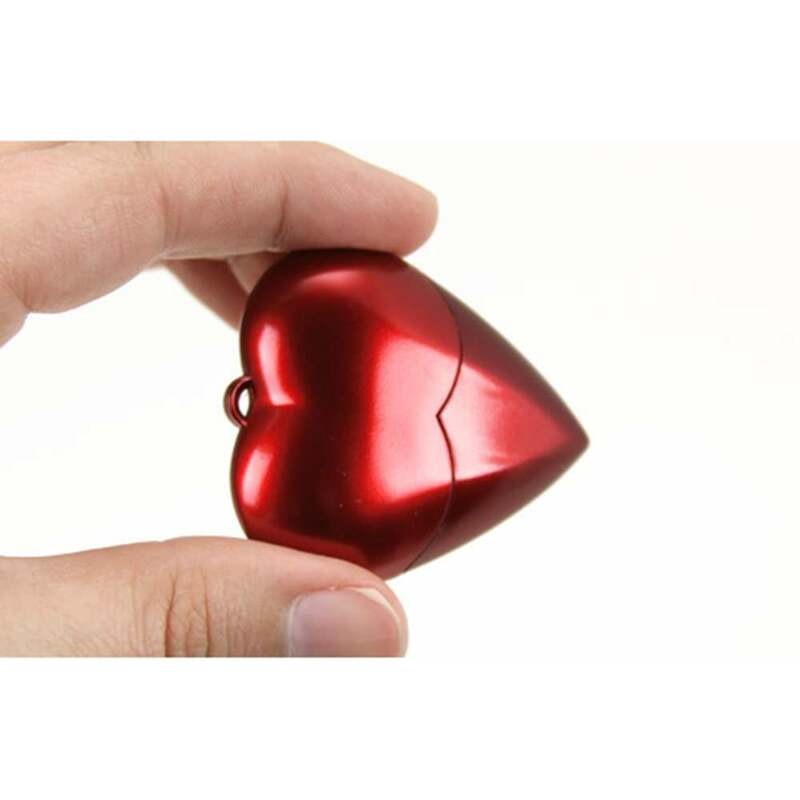 These USB flash drives are housed in a heart-shaped casing decorated in a gorgeous metallic red color. 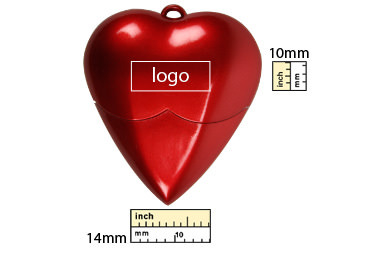 The flash drive is contained in the top half of the heart and the bottom acts as a cap that can be pulled away. 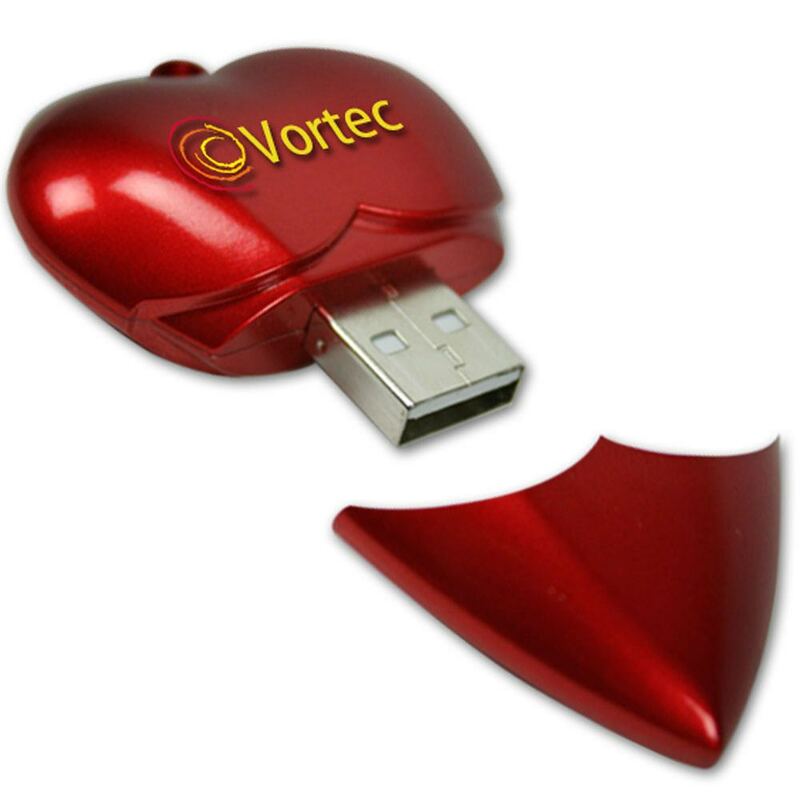 Your company logo is silk-screened on either or both sides of the drive. All orders are printed in the United States and includes free USB SAVER Shipping! 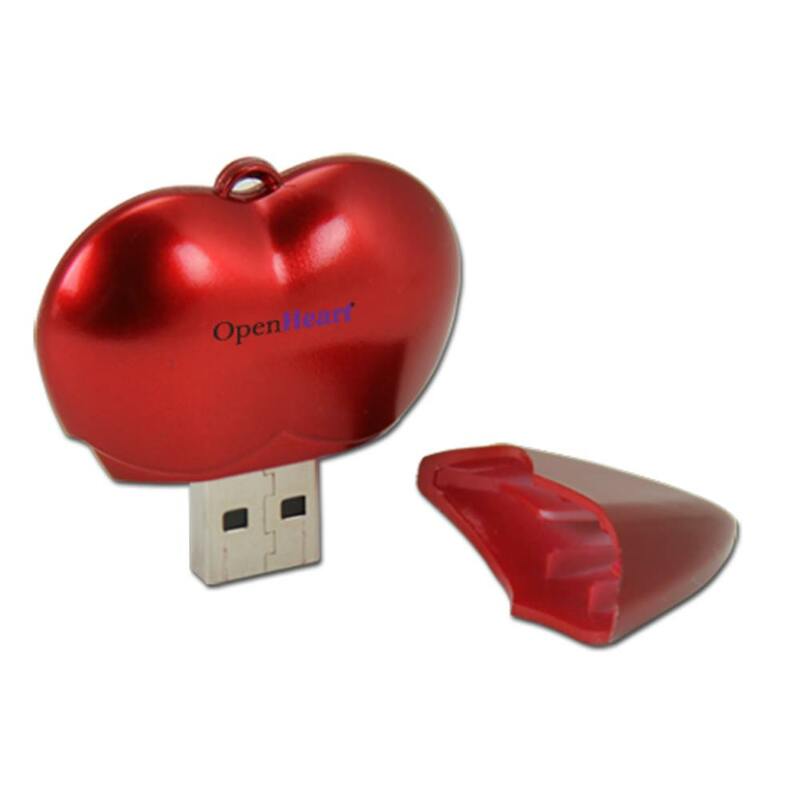 Show your customer base some love with the Valentine Heart shaped promotional drive from Premium USB! The shiny red exterior will make your custom printed logo glisten right on the heart of the matter. 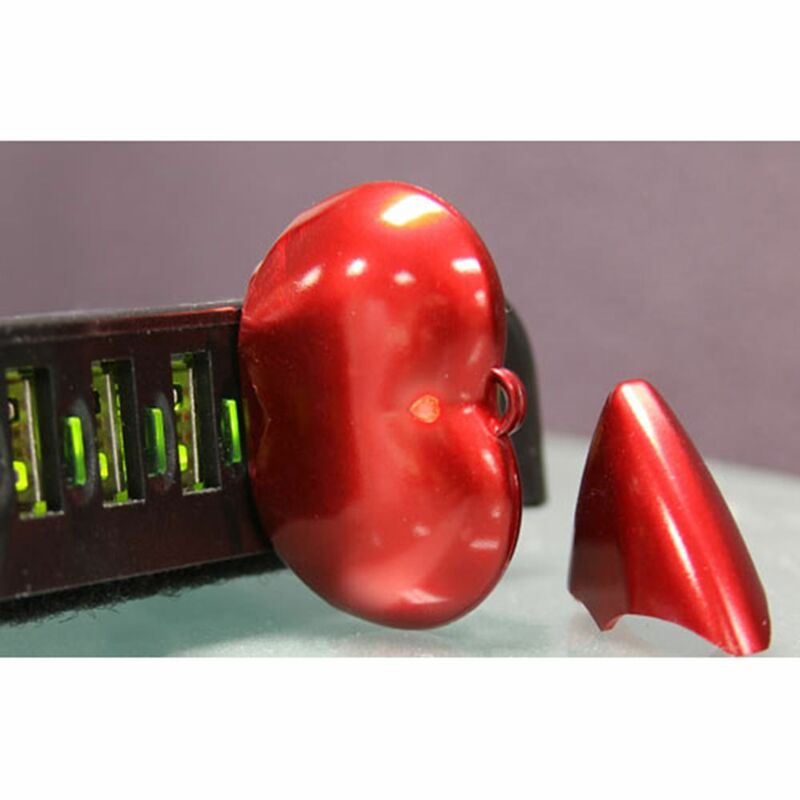 The USB drive is accessed easily by uncapping the bottom and revealing the connector port. The drive comes in a wide range of storage capacities and can transfer at up to USB 3.0 speeds! Customers won’t be able to throw away these high perceived value gifts and instead will use them to store old photos and files, ensuring your logo stays around for a long time.